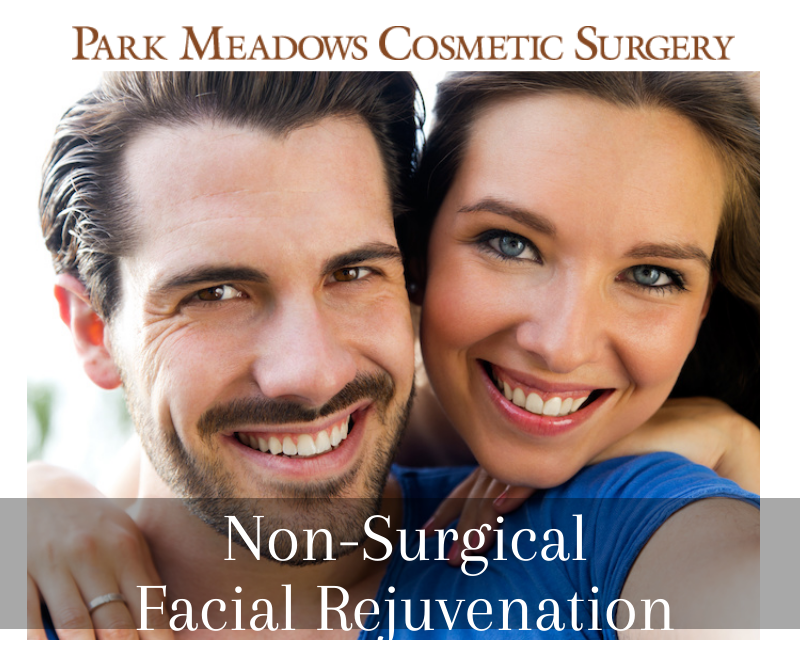 Park Meadows Cosmetic Surgery offers the following cosmetic dermal fillers and facial rejuvenation treatments at our Lone Tree, CO medical center. We are committed to offering products we trust! 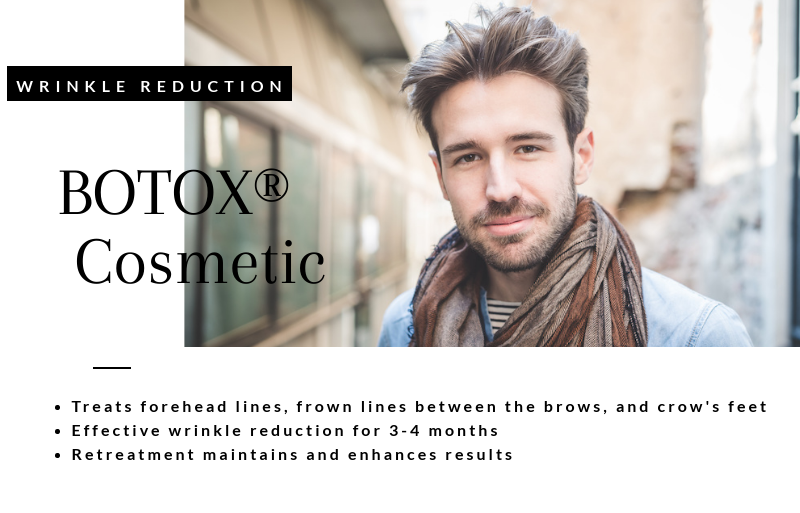 BOTOX® Cosmetic is FDA approved to reduce the appearance of glabellar lines (lines between the eyebrows), but has also been used successfully to treat forehead lines, crows feet and sweating in the underarms. BOTOX® Cosmetic is the protein Botulinum Toxin A, brought to you by Allergan®, the company bringing you Juvederm® XC, Juvederm Voluma® XC, Latisse® and SkinMedica®. Radiesse® immediately adds volume beneath the surface of your skin to fade the appearance of lines and wrinkles. This plumping filler can also be used on your hands to give them a youthful boost! 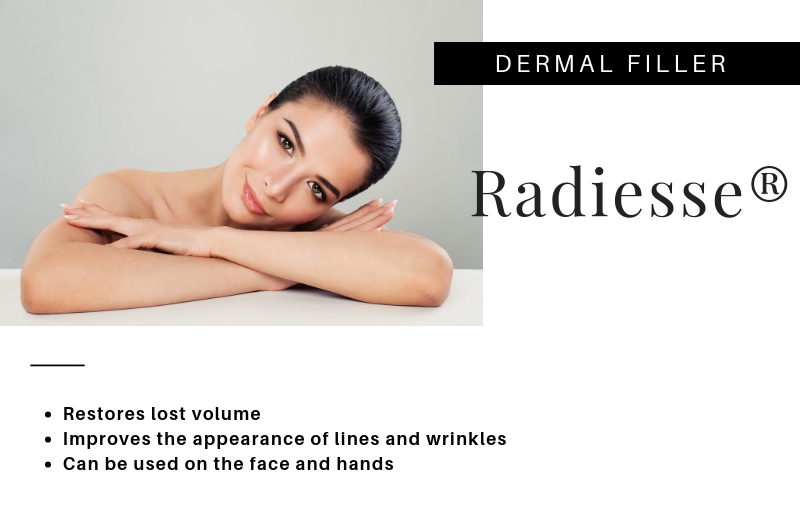 Radiesse is FDA-approved for these uses. Based on clinical studies, the results may last a year or more. 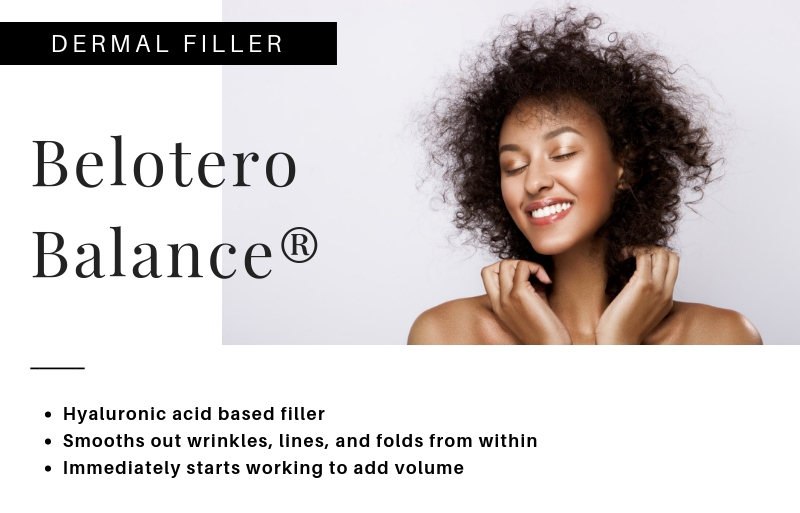 Belotero Balance® can smooth out moderate-to-severe wrinkles, folds, and etched in lines around your mouth. This filler is made with hyaluronic acid, a naturally-occurring substance in our bodies that supports skin health. 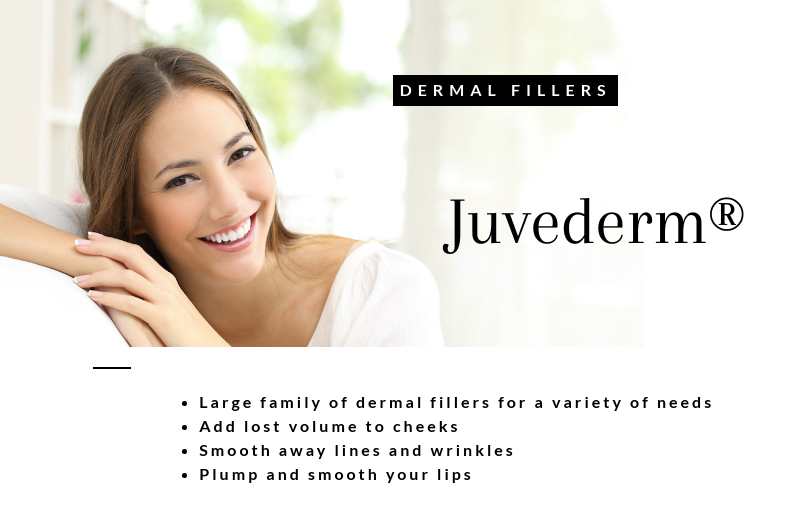 Juvederm Volbella® XC is a smooth, soft filler designed to augment your lips and smooth lines around the lips. Like many other dermal fillers, it is made of hyaluronic acid. As the years pass, you may notice your lips becoming thinner and less defined, while wrinkles begin to form around your mouth at the same time. Volbella® rejuvenates the appearance of your face by defining a youthful lip contour and smoothing vertical lines above your upper lip and marionette lines. Volbella® contains lidocaine to reduce pain and discomfort during injection. Juvederm Voluma® XC is the first and only FDA-approved injectable gel to instantly add volume to your cheek area to correct age-related volume loss in adults over the age of 21. It can give you contour and a subtle lift for up to two years with optimal treatment. Juvederm® XC is a hyaluronic acid based facial filler that is designed to soften the signs of aging by physically filling in areas of skin volume deficiency, but also by acting as a source of internal skin hydration. Juvederm® XC is approved by the FDA for the treatment of moderate to severe nasolabial folds, vertical lip lines, and marionette lines. It is also safely used to add volume to the lips. Kybella® melts excess fat beneath your chin without surgery. This injectable is made of deoxycholic acid, which is a naturally occurring molecule that breaks down dietary fat. When administered beneath the chin in a series of injection appointments, Kybella® melts away a double chin, revealing defined, youthful neck and jaw contours. 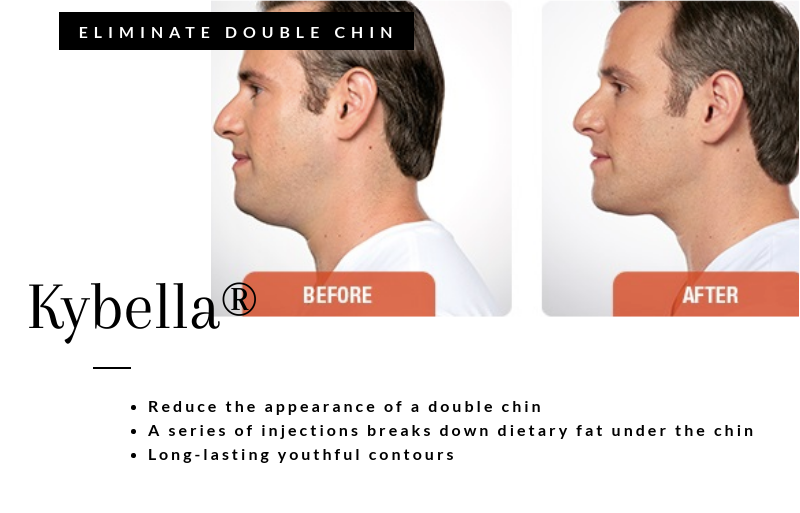 Kybella® is the first injectable FDA-approved to reduce excess fullness below the chin. 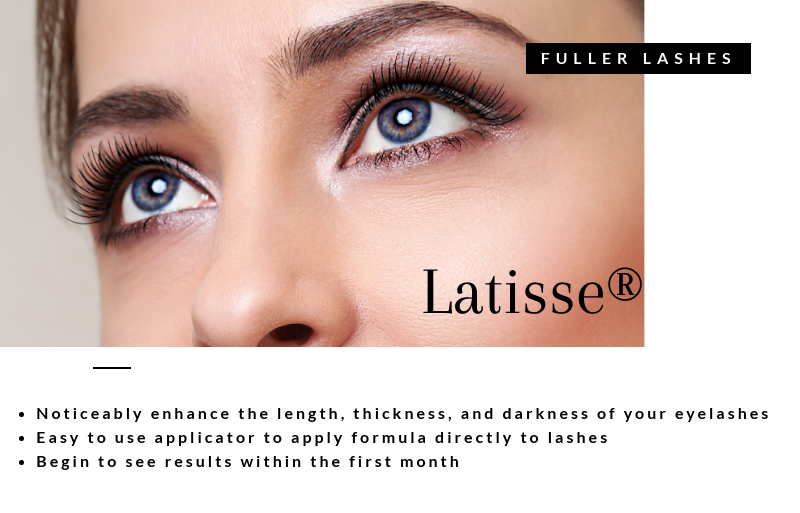 Latisse® is the only FDA-approved prescription medical treatment to noticeably enhance the length, thickness, and darkness of the eyelashes. Even women who already possess naturally thick lashes often strive for a longer, more dramatic appearance with the help of mascara. Dark, sweeping eyelashes make women appear more feminine and frame the beauty of the eyes, but even waterproof mascara cannot hold up to the onslaught of bathing or swimming. Latisse®, however, is a non-invasive treatment to lengthen, darken, and thicken your natural lashes. It cannot smear, clump, or wash off because Latisse® does not simply make your lashes appear longer, thicker, and darker, like mascara; Latisse® actually makes your lashes physically grow longer, thicker, and darker. For years, SkinMedica® has worked on formulas for skin care products that ultimately rejuvenate the skin. The skin care line includes products and ingredients that improve the appearance of the skin, creating beautiful, clear and healthier skin. At Park Meadows Cosmetic Surgery, we support the GRASS regimen, and carry that in stock for you at the office. 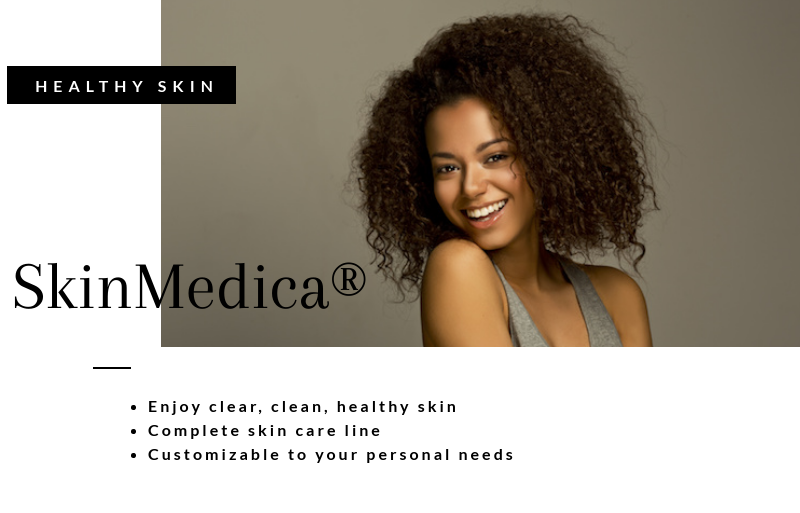 All SkinMedica® products can also be purchased online through our office and shipped directly to your home. The GRASS regimen is the most basic necessities for your skin and each of the letters represents a product category. You can customize any of the products from a certain category to create your personal regimen. We always post our current specials on our website. However, Allergan® offers an incredible FREE program for accumulating points called Brilliant Distinctions. 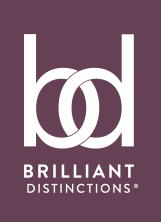 Enroll in the Brilliant Distinctions® program and earn points every time you receive a BOTOX® Cosmetic treatment, Juvederm® XC Injection, Juvederm Voluma® XC injection, Latisse® or SkinMedica® purchase from our office. Redeem your points for savings on your next treatment or on other select treatments that your doctor may determine are right for you. Enroll now! Remember, you can use our financing options to pay for all of these products. 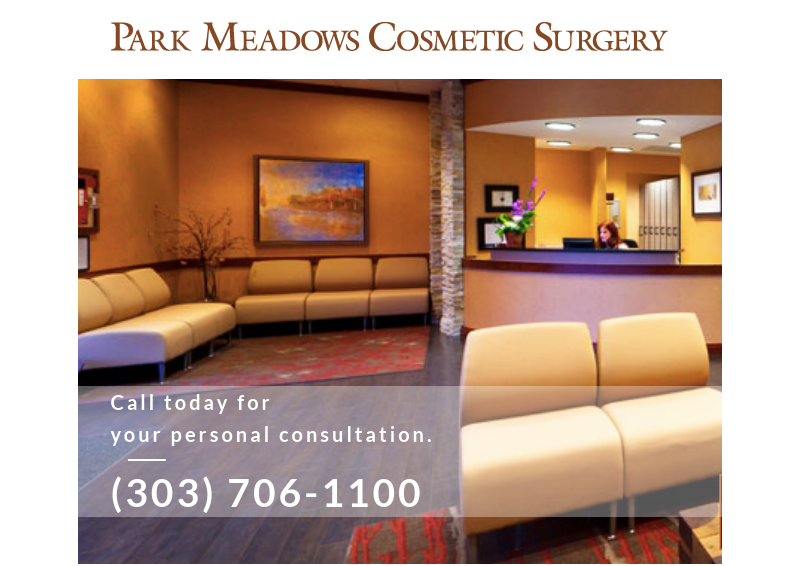 Learn more about dermal fillers and wrinkle treatments in Denver by contacting Park Meadows Cosmetic Surgery at (720) 457-4471 or online. 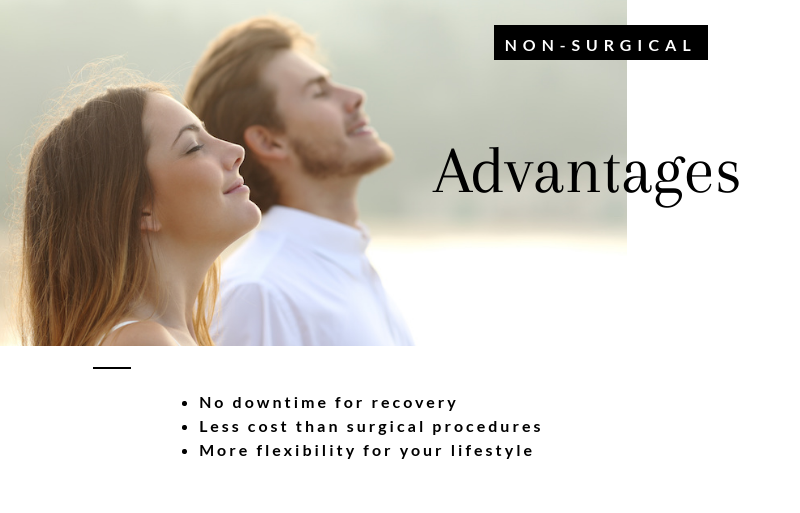 We offer non-invasive facial rejuvenation treatments as well as a full spectrum of cosmetic and plastic surgery procedures at our surgical center in Lone Tree, CO.